The following information, as taken from Language LAB™ by JoAnn Wiechmann, M.A., CCC-SLP, Judy Rudebusch, Ed.D., CCC-SLP, and Nancy Kuhles, M.S., CCC-SLP, provides an overview of classification systems for narratives. Students’ narrative skills progress through a series of stages (Applebee, 1978). Research shows that by first grade, students with normal language development produce at least chain narratives, if not true narratives. By the end of fifth grade, students should be able to produce detailed, multiple-episode stories containing complex sentences, well-developed characters, mental state verbs, temporal adverbs, and comment statements on causal relationships between motives and actions (Gillam & Pearson, 2004). Students with low levels of narrative development may be at risk for academic problems (Paul, Lazlo, & McFarland, 1992; Paul, Hernandez, Taylor, & Johnson, 1996). In primary grades, students convey the most information through narrative formats including the content areas of science and social studies; therefore, narratives provide a reasonable context for language intervention with students struggling to meet grade-level academic standards in language and reading comprehension. There are several classification systems for narratives and narrative development. The following system adapted from Applebee (1978) has been modified and expanded by Klecan-Aker and Kelty (1990); Paul, Lazlo, and McFarland (1992); Wallach and Miller (1988); and Westby (1984). Applebee, A. (1978). The child’s concept of a story: Ages 2 to 17. Chicago, IL: University of Chicago Press. Gillam, R., & Pearson, N. (2004). Test of narrative language. Greenville, SC: Super Duper Publications. Klecan-Aker, J., & Kelty, K. (1990). An investigation of the oral narratives of normal and language-learning disabled children. Journal of Childhood Communication Disorders, 5(3), 46–54. Paul, R., Hernandez, R., Taylor, L., & Johnson, K. (1996). Narrative development in late talkers: Early school age. Journal of Speech and Hearing Research, 39, 1295–1303. Paul, R., Lazlo, C., & McFarland, L. (1992, November). Emergent literacy skills in late talkers. Mini-seminar presented at the annual convention of the American Speech-Language-Hearing Association, San Antonio, TX. Wallach, G., & Miller, L. (1988). Language intervention and academic success. Boston, MA: College-Hill Publications. Westby, C. (1984). Development of narrative language abilities. In G. Wallach & K. Butler (Eds. 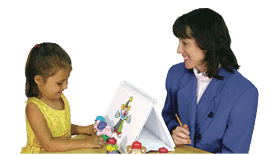 ), Language learning disabilities in school-age children (pp. 103–127). Baltimore, MD: Williams & Wilkins.